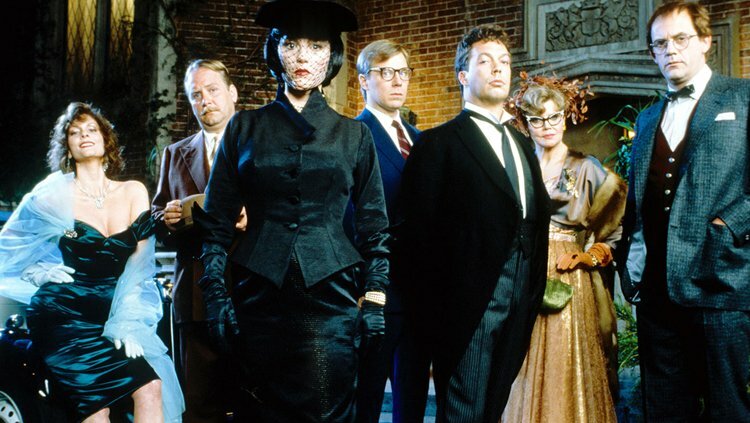 If there’s one thing I learned this Fourth of July weekend, it’s that no matter what differences we have in this crazy, mixed up world of ours, everyone can agree that Clue is a god damned masterpiece. Well, almost everyone. 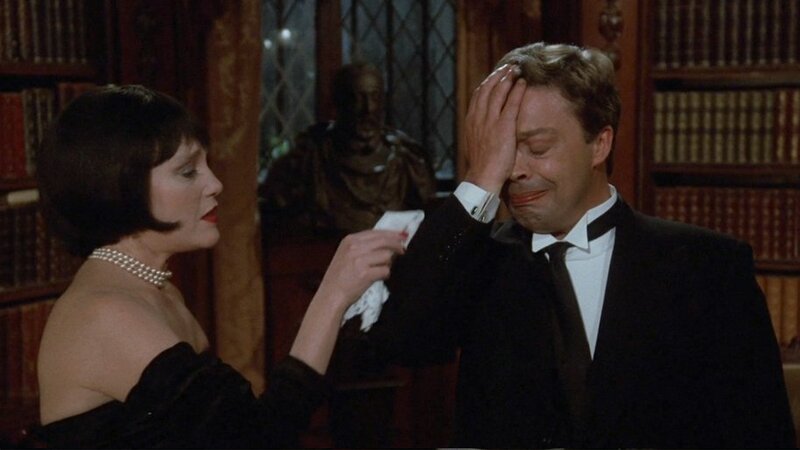 The whole thing began when I was debating with my esteemed fellow critic John Rocha about whether Clue – a 1985 ensemble comedy based on a mystery-themed board game, which lost money in its initial theatrical run and wasn’t reviewed particularly well at the time either – qualified as a “classic” comedy. He argued that the film was merely very good, and in one of the arguments he brought up to that position, he pointed out that not very many others had leapt to the film’s defense, and also that it boasted a paltry 62% on Rotten Tomatoes. These were fair points. So if I wanted to counter those points I had to prove that the film enjoyed a widespread and enduring popularity. 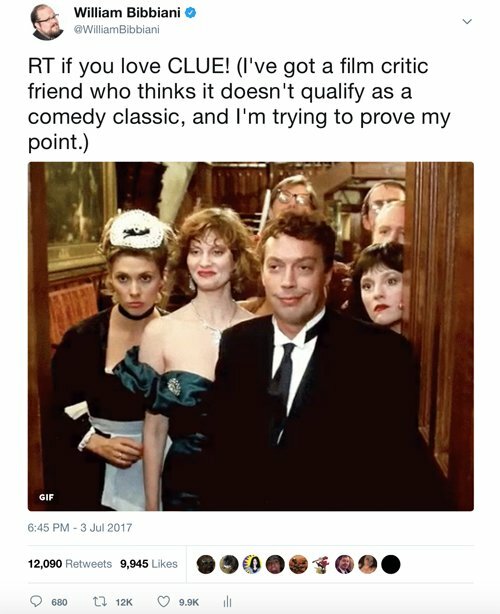 To that end I wrote a new tweet, saying I was trying to prove to a fellow critic whether a lot of people think Clue is a classic, and if you agreed, would you please retweet. I dusted off my hands and went back to my daily errands and when I looked back at my phone an hour later I saw that a few hundred people retweeted me, and I felt more than a little vindicated. Cut to 24 hours later and the damned thing’s been retweeted over 12,000 times. It’s a freaking “Twitter Moment” now so that number is still rapidly growing. I have created a monster. A really cool monster that proves that people love Clue. And why wouldn’t they love Clue? The film stars many of the funniest actors of the second half of the 20th century – Tim Curry, Michael McKean, Eileen Brennan, Christopher Lloyd, Lesley Ann Warren, Martin Mull, Colleen Camp and Madeline Kahn – as blackmail victims who are stuck in a house in the middle of a thunderstorm, trying to figure out which one of them killed their blackmailer. It’s a clever satire of Agatha Christie whodunnits, full of witty repartee and unexpected twists, which builds and builds in momentum until the whole cast is barreling down the hallways like an uncontrollable absurdist avalanche. 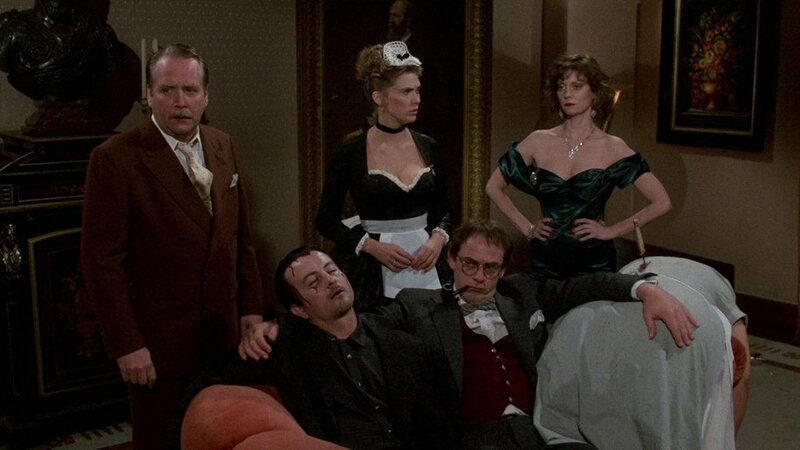 Directed by Jonathan Lynn, and co-written by Lynn and John Landis, Clue also had the neat little gimmick of arriving in theaters with multiple endings, so you never knew which version you were going to see, and which of the characters was going to be the killer. 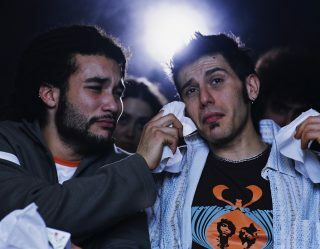 The three different endings were combined to clever effect in the home video and television releases, in which one ending plays before getting nixed by the cue cards as total malarky. Another ending plays and that gets vetoed too, and then we finally find out “what really happened,” a.k.a. the most elaborate and absurd conclusion that the filmmakers could have possibly concocted. Unlike the similar Murder By Death, released nine years earlier, Jonathan Lynn’s film didn’t rely on in-jokes and stand-ins for popular mystery novel characters. Clue relied only on a simple set-up, clear character types, and a series of events that makes them all panic. The events are complicated but the premise is straightforward. The interactions are elaborate but the characters are clearly defined. Clue plays like a ticking time bomb in which none of the cogs want to be in the same room together, but they have to be in order to get to the big payoff. But times change. That’s how movies work. Many popular films are swiftly forgotten, and many films that flew under the radar of audiences, critics or both eventually manage to pick up new generations of fans. Murder By Death may have been the progenitor of Clue, but the specificity of its references make it a tougher sell to audiences who didn’t grow up inundated with all that source material. And quite a few films that outgrossed Clue in 1985 are no longer properly alive in the cultural consciousness, unless you know a lot of people who include The Jewel of the Nile, Summer Rental or Porky’s Revenge among their very favorite films. Does popularity alone make a film a classic? No, but enduring popularity has to be a factor. 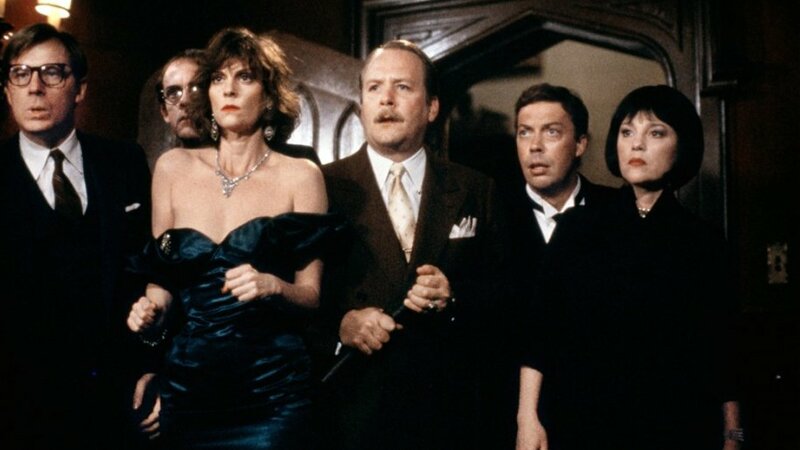 The Oxford Living Dictionary defines a “classic” as “Judged over a period of time to be of the highest quality and outstanding of its kind.” So it could be argued that the fact that Clue has merely endured after more than 30 years is itself a testament to the film’s quality. Still, is that really enough? Film critics sometimes like to think of ourselves as the gatekeepers of cinema history, and that’s a vital component of what we do. We educate ourselves on films from throughout the entirety of the medium to highlight which films warrant evaluation and reevaluation, discovery and rediscovery. Film critics are responsible for watching an incredible amount of movies, and so if they have a reason to talk about the same films over and over again, there are probably excellent reasons, and they articulate those reasons as best they can. I know many critics who would also stand up for Clue. I also know many who would probably be comfortable allowing it to stay in its cozy place in the “cult classic” canon. To that I argue that it works both ways: critics keep movies alive, and so do mainstream audiences, whether or not they are aware that they are serving this cultural function. And if enough people love Clue – unironically, at least – then there is probably a quantifiable reason why it still works after all these years (or several reasons, like humor that overpowers despite generational divides, clever commentary on the murder mystery concept, impeccable acting and pacing). But let us never forget that there is also another, even more straightforward possibility. That sometimes, as history has proven time and time again, a cult will grow large enough to become the institution. And I think in this case it already has. And I think that’s great. The idea that we can now accept Clue into the canon of classic comedies is a badge of honor for everyone involved in a genuinely wonderful film, and it also opens a lot of doors for other films of its era, which have only hesitantly been entering the “classic film” canon, in case you haven’t noticed. There was a time when 30-year-old films were considered “old.” When I was a kid, films like Psycho or The Godfather weren’t nearly as old as Clue is now, but they were comfortably labeled as “classic films.” What happened next was a home video boom, a preponderance of cable movie channels and eventually an onslaught of instant streaming, which kept all the films everyone saw as a kid readily available for the last three decades. In other words, it’s harder to take on a rarefied status if you’re not exactly “rare.” The Silence of the Lambs is over 25 years old but it still feels culturally fresh because we rewatch it all the time. I’ve often wondered if the reason we hold off on giving certain films a “classic” status is because it makes us feel old, particularly if we were around when it actually came out, and particularly if we just watched it a week ago on Netflix, for example. But with the ubiquity of content comes a different kind of litmus test. It used to be that films disappeared because no one was interested in seeing them anymore and studios stopped making prints, and that’s still a factor. And yet I think it may be even more useful as a litmus test to flip that around. 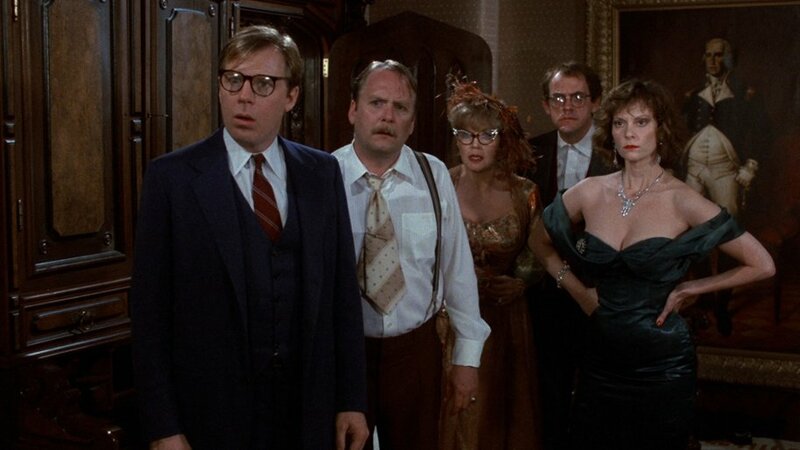 Every film should be readily available – I believe that with all my heart – and a lot of them already are, but if we have access to all that content and still find room in our hearts to completely memorize a film like Clue, that speaks volumes about how much we all love Clue, doesn’t it? We have all these new, shiny options nowadays. I argue that if a film that’s more than 25 years old still holds meaning, still plays great, and still connects with a new generation of fans. It has to be a classic. And I don’t care if that makes me feel old anymore. Ghostbusters is old. Top Gun is old. Back to the Future is old. Batman is old. Die Hard is old. Star Wars is super old. And as far as I’m concerned, they’re all officially classics.